Duke is almost 4 years old and is a Boxer mix. His family could no longer keep him due to a family member developing severe allergies. He is a great dog. He is housebroken, good with kids, bonds fairly quickly to his humans. He is neutered, current on his shots, heartworm negative and micro-chipped. He has lots of energy. He gets along great with other dogs. 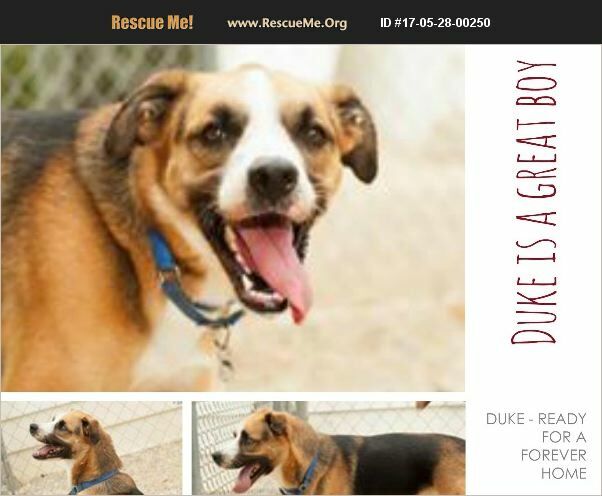 If you are looking for a great dog but don't want to go through all of the puppyhood, Duke might be just the right fit. He is about 55 lbs. Has never lived with a cat. Has lived with kids. In typical Boxer fashion he does a lot of jumping. Consider coming out to meet Duke. If you are interested in him, please submit an adoption application from our website at www.patriotsforpets.com and see if Duke steals your heart.